The Holy Artwork maintains interest thanks to the rhetorical efforts of Peter Spencer. Over 20+ film awards and festival honors, both religious and secular. The multi-award-winning feature film about the true story of Corrie ten Boom's teenage resistance army during WWII, Return to the Hiding Place is the sequel to Billy Graham's beloved film The Hiding Place and has been endorsed by internationally-renowned figures, including Franklin Graham, Mark Batterson, three-time Olympic Gold Medalist Josh Davis, and Randy Frazee. Return to the Hiding Place reaches national box office success - top 5 weekend draw just behind Godzilla. The book and film conceived and written by Peter Spencer based on Historical fact and brought to thrilling life revealing who was the "thief on the cross" and following his harrowing journey to the final days speaking with and dying beside the one and only Christ. Contact Peter to learn more about THIEF in production. Multiple angel awards decorate this collection of over 27 unique titles, each revealing a true-life hero of the Christian faith. Click image to listen to full podcast. 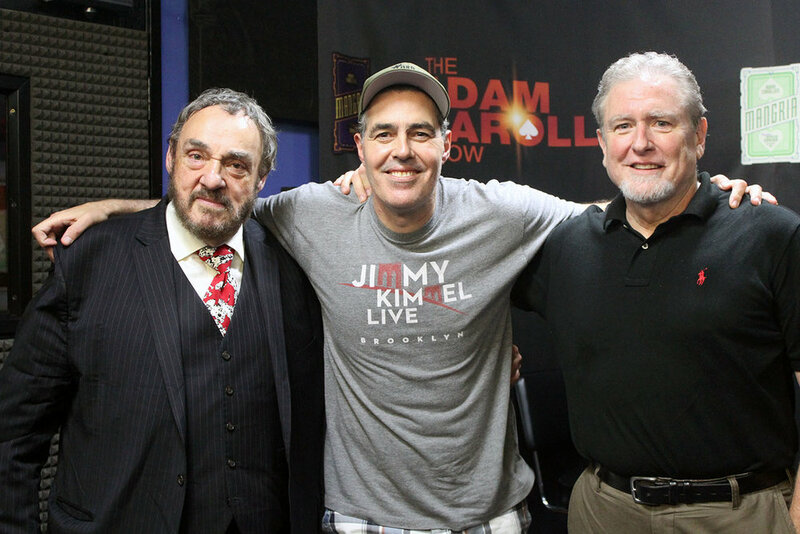 Peter C. Spencer and friend+RHP actor John Rhys-Davies join Adam Carolla on his explosively popular podcast to discuss the power of good and evil and judgment in this day and age. Click the photo to hear the full podcast. Ministry raising funds and awareness for the persecuted Christian church in the Middle East. After spending several years in the advertising industry, Peter Spencer founded Halo TV and Film. 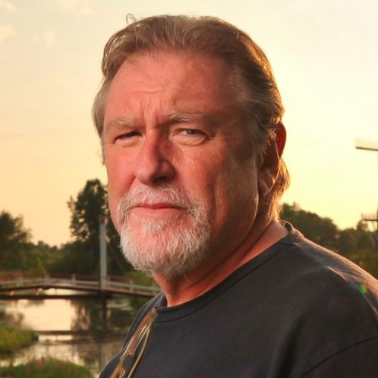 Peter has won numerous national awards for writing, producing and directing - including his TV series Heroes of the Faith shown on over 2,000 stations worldwide. He is an accomplished researcher of historic events, including forty-six television specials. He received his Master of Divinity Degree in 2005 and his Doctorate in Biblical Studies in 2007. His doctoral dissertation, based on archeological research and discovery, was recently published in the book The DaVinci Cult. His interviews with his mentor Hans Poley led him to research the Dutch Archives, life histories, and survivors of the Hiding Place and their friends. This inspiration created a world immersed in the realities of Holland in the 40's, inspiring a meticulous, realistic script for Return to the Hiding Place. Now a fully-realized feature film, Return to the Hiding Place has won an astounding 23+ film honors and festival wins combined and more than doubled the projected independent box office numbers, ranking it fifth in the nation for per-screen average during its test run in May 2014. Peter's work has garnered praise from the New York Times, Washington Post, and L.A. Times for his communication style. Peter is an accomplished author, professional actor, musician and public speaker. Peter spent many years as the official chaplain to the multi-national champions the San Antonio Spurs and worked closely with David Robinson in ministry. He produced his apologetic series Defending the Faith for CNL Television in the Russian-speaking world. Peter also teaches crowds of up to 40,000 in India and is heard on several radio stations in North America. He was trained in theology by his father, Hebrew and Greek scholar, Dr. Duane Spencer - a renowned expositor and author and founder of San Antonio Christian Schools. His recognitions include the NRB People's Choice Awards, Angel Awards, along with numerous art and film awards. He is the author of volumes of systematic studies, TV productions & stage dramas. Peter Spencer is father to four children, married to his college sweetheart, Maria. Professional Equity Theater Actor: 1977-1981. Lead roles including Perchik (opposite Emmy-award winner Fivish Finkle) in Fiddler on the Roof, Tony in West Side Story, Sir Lancelot in Camelot, Freddy in My Fair Lady, Miles Gloriosos (opposite Ronny Graham) in A Funny Thing Happened on the Way to the Forum. Other Professional Work includes: Advertising Director at KCI (Fortune 100 Company), Director of Lifeline Communications, and Founder of Harvest Academies.